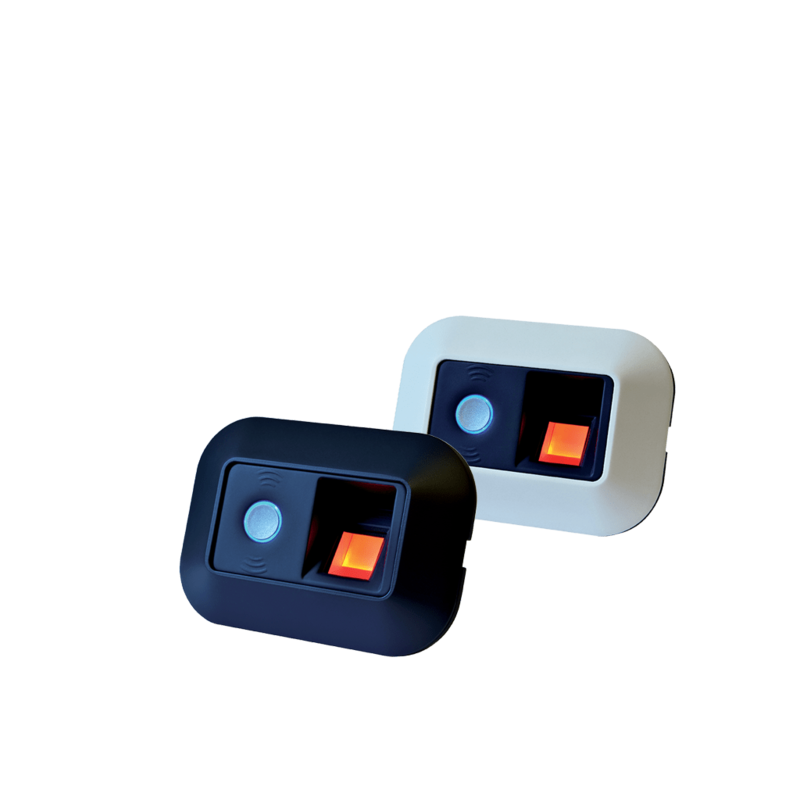 AX BIO is a biometric fingerprint terminal that controls doors as well as alarm systems. AX BIO is a high security stand-alone door opener with the most advanced id and security technologies that fits in an industry standard electrical box/case. The biometric fingerprint terminal is equipped with four recognition modes: 1:N identification (fingerprint only); 1:1 verification with fingerprint memorisation on AX BIO (MIFARE RF reader + fi ngerprint); 1:1 verification with fi ngerprint memorisation on MIFARE 4K card (MIFARE RF reader + fi ngerprint); only MIFARE card. AX BIO can be easily installed in normal switch boxes. Bell, biometric door opener, complete control of high security gates (thanks to remote controlled relays), alarm arming/disarming, activation of secondary relay. AX BIO can be configured to operate as a component of the XAtlas system. In this case, it is connected as a slave to a controller of the system. No PC or connection required. Device configuration and addition of users with the use of the system card. The Night&Day function allows managing, depending on the time slots, different levels of security by setting, for example, associations of recognition modes (e.g. Biometrics and card) or by assigning different access authorisations or anti-theft controls to different people. Opening/closing of secondary relay: only activated by some users or fi ngerprints.